As a new Ambassador of Kazakhstan in Italy first of all I would like to express gratitude for interview and wish success to your redaction. The decree of the President of the Republic of Kazakhstan Nursultan Nazarbayev on September 22 was appointed the Plenipotentiary Ambassador of the Republic of Kazakhstan in the Republic of Italy. Having finished the mission as the Plenipotentiary Ambassador of Kazakhstan in Greece, Credentials was handed to the President of Italy Sergio Mattarella by me on October, 2015 then officially launched responsibilities as the Ambassador of Kazakhstan in Italy. My first impressions about Italy are positive. Since 1990 our countries have developed warm friendship. Positions of Astana and Rome coincide on many major questions of international politics. Official Rome welcomes the steps directed to rapprochement of Kazakhstan with the European institutes, expressing a willingness to assist to the undertaken efforts. Italy regards Kazakhstan as geopolitical bridge between Europe and Asia, and being an active participant of transatlantic partnership and supports foreign-policy priorities of Republic of Кazakhstan, including process of CICA. In addition, Italian side supported efforts of Kazakhstan on the post of chairman of OSCE in 2010. In the political circles of Italy there is steady interest in strengthening of the Kazakhstan-Italian dialogue. Similarly Astana pay special attention to the collaboration with Rome. In respect of role in Italy, I would like to mark firstly, that our efforts will be concentrated on expansion and strengthening collaboration between our countries in an economic, political sphere. Secondly, we also intend to put right a cultural exchange and educational dialogue between our countries. We want to organize a few large measures for advancement of the Kazakhstan culture in Italy. 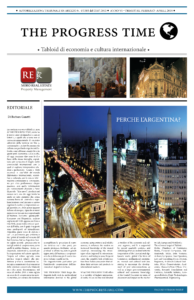 Certainly, we also will assist popularization of the Italian culture in Kazakhstan. What are the cultural meeting points between the Kazakhstan and Italy? Kazakhstan and Italy are partners in many spheres and widely develop the relations in different industries. Especially would like to highlight a cultural collaboration, in this spectrum pass many events, both in our country and in Italy. In the theatre of opera and ballet “Astana Opera” were performed popular worldwide artists, on its turn by the invitation of Italians our representatives of art regularly with guest performances drive out in the different cities of Italy. The Italian side is interested in a close collaboration, besides cities Astana and Almaty, with other regions. In Italy many people heard a lot about our country and are ready to cooperate. We are open to all offers. At university of Venice will be opened the department on studying Kazakh language, and rector of this educational institution will visit our country. Between the Kazakhstan and leading Italian higher education institutions signed contracts and memorandums of cooperation. Italy is the world cultural center in music, cinema, sculpture, art, and this is important to learn for us something. Within the reached agreements between our countries the Kazakh national university of arts sends students to Italy for professional development. Since 2012 in Italy about 40 of our students increased knowledge in conservatories of Rome, Milan and other cities. The Kazakhstan students with pleasure come to this wonderful country. Due to the integration of Kazakhstan into world educational space one of the main direction of the Kazakhstan-Italian cooperation is entry of the Kazakhstan higher school into Bologna Process. Within the framework of “Tempus” program some Kazakhstan universities cooperates with Milan University Santa Cuore in the field of management of social work. The program foresees teaching seminars and trainings, development of joint projects. Also the row of separate visits of the Kazakhstan teachers and scientists took place in the different institutes of higher and research institutes of Italy. The program provides the teaching seminars and trainings, development of joint projects. Also a number of separate visits of the Kazakhstan teachers and scientists took place in the different institutes of higher and research institutes of Italy. Development of trade-economic and investment cooperation between two countries is characterized by stability, thus mutual commodity turnover grows annually, in 2014 it made record $17 billion. Italy is one of large foreign investors of Kazakhstan. Since 2005, inflow of direct investments from Italy made more than $7 billion. As at the state level, and at the level of business of the relation of our countries come to the next round of development. 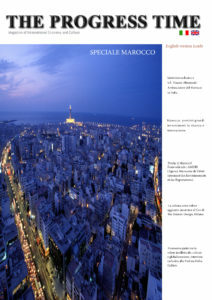 Now in our country about 200 enterprises actively work with participation of the Italian capital. I consider that it is necessary further to strengthen our mutually beneficial cooperation to find a common ground in different branches of economy. Crude oil and gas condensate, oil products received from bituminous minerals, fuel liquid (fuel oil), wheat, zinc, gold, copper and ferroalloys are exported from Kazakhstan to Italy. From Italy the primary place, still, remains behind consumer goods. Group, the second for the importance, are cars and the equipment. Shares of all other commodity groups practically haven`t change. What strategies have You been adopting to promote Your country both economically as well as culturally and touristically? The important instrument of development of the Kazakhstan-Italian relations in the trade and economic sphere is the Kazakhstan-Italian Intergovernmental working group on industrial and economic cooperation and exchange. On the present the Kazakhstan-Italian business forum organized on June 27, 2015 within visit of the Head of the Kazakhstan state to Milan which took place with participation of the President of the Republic of Kazakhstan and the Chairman of the board of ministers of the Republic of Italy on fields of the international exhibition “Milan EXPO-2015” became breakthrough action of trade and economic character. During event agreements for the sum more than 500 million euros were signed, among projects on construction in Kazakhstan of plant on release of pipes (the Tenaris company), the organizations of hothouse complexes for production of export agricultural production, opening of shop on production of flanges, adjustments of production of the high-precision static equipment, furniture and welding robots, constructions of wind parks, on release meat and fruit and vegetable products, etc. During 2015 the Embassy with assistance of Honorable consuls of Kazakhstan in Italy held 10 events of economic character, these are business forums, seminars, conferences in which participated about 2500 representatives of the Italian companies occupied in all key sectors of economy. In general, it is important to state about the growing interest and trust of the Italian business community to Kazakhstan companies. Italy considers our republic as one of the developing countries of the CIS, and also the state most dynamically with favorable investment climate, good conditions for business and stable political system. Kazakhstan is also aimed at formation of open labor market, as a result investors have opportunity to attract foreign labor without any quotas and permissions. Besides, the visa-free regime for investors from 10 countries which list includes Italy is set. Kazakhstan continues the institutional reforms directed on improvement of business climate. For investors we will offer the legal regulation of investment questions based on norms of the English right with legal proceedings in English language and involvement of foreign judges. Release for 10 years from payment of corporate and individual income tax, preferential involvement of foreign experts is provided. For assistance to work of representatives of a business community of our country and foreign businessmen is created Council of foreign investors under the President. Soon representatives of the Italian small and medium business will arrive to our country for exchange of experience in various spheres of economy. Recently the application for strengthening of cooperation in the sphere of agriculture was signed. The Embassy continues work on activation of cultural and humanitarian cooperation of Kazakhstan and Italy. Now a number of the Kazakhstan universities cooperates with Milan University Santa Cuore in the field of management of social work. Cooperation between university of Ferrara and KIMEP University in the tax law proceeds. KAZNU named Al-Farabi successfully cooperates with University of Florence, University of Bologna, Roman University of La Sapienza, University in Catania, University in Padova. Interaction between University of Bologna and the Kazakhstan University of the international business (UIB) proceeds. In the context of further development of cultural, humanitarian and information ties the Kazakh national academy of arts of T.K. Zhurgenov develops partnership with National academy of drama art of Silvio D’Amico Rome and Academy of fine arts of Florence. What is the relationship in The Kazakhstan between production and respect for the environment? The Republic of Kazakhstan plays a special role in ensuring ecological stability of the Eurasian continent. Being the political, cultural and economic bridge between Europe and Asia, Kazakhstan carries out similar binding function in development of landscape and ecological systems on the continent. The sizes of the territory of Kazakhstan, a variety of climatic conditions, features of water balance of the region involve essential dependence of an ecological situation in all territory of Eurasia from its stability in Kazakhstan. The environment of Kazakhstan including generally steppes, semi-deserts and deserts and in addition, the unique midland seas and lakes, such as the Caspian Sea, Aral, Balkhash, Zaisan, Alakol, is very vulnerable from anthropogenous influences. Huge territories of Kazakhstan suffered from activity of proving grounds and starts of space equipment. For the period between 1949 and 1991 on Semipalatinsk proving nuclear test site 470 nuclear explosions were conducted. It is impossible to count a death toll precisely; the quantity of the irradiated reached half a million people. In the territory of the former Semipalatinsk test site about 2 million hectares of agricultural grounds are subject to radioactive infection. Transition to ecologically safe and sustainable development becomes one of the priority directions of strategy of development of Kazakhstan now. Transition to ecologically safe and sustainable development becomes one of the priority directions of development strategy of Kazakhstan now. The corresponding legislative base became the base for this transition. For harmonization of the ecological legislation of the Republic of Kazakhstan with the advanced international acts, transition to new standards, improvement of system of the state control the Ecological code of the Republic of Kazakhstan was adopted on January 9, 2007. The ecological code made a number of essential changes to the system of environmental protection accepted in Kazakhstan. The main priority of activity of system of the state environmental assessment is delivery of ecological permissions within which all main requirements to the user of nature, including tasks of technological improvement and introduction of the best available technologies have to be defined. Besides, ecological rationing uses flexible target indicators of quality of environment, and also technical and ecological standards; norms on the property right to waste are entered, and the system of classification and rationing of waste is brought into accord with the Basel convention and directives of the European Union. It should be noted that in this act at implementation of economic and other activity in the state reserved zone of northern part of the Caspian Sea the whole chapter is devoted to ecological requirements. 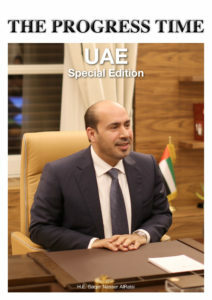 There are ecological requirements to conducting exploration and production at the sea, to design and construction oil and gas pipelines, coastal bases of supply and other infrastructure, preservation and elimination of wells are very in detail stated, including during spawning of sturgeon species of fish. It would be desirable to add that standards of the ecological code is only a first step in improvement of the ecological legislation of the Republic of Kazakhstan. 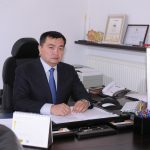 Researches on military proving grounds and the Baykonur spaceport are conducted, problems of interrelation of a state of environment and health of the population are studied, in Northern and East Kazakhstan the radiation situation is examined. National reports on a state of environment are annually published. EXPO-2017 is a national project, the greatest opportunity for Kazakhstan to receive new energetic and green technologies. Holding an exhibition will well affect image of the country, development of economy, and also will light one of the hottest topics – “Energy of the future”, that is alternative and renewable energy which excite the world community. The effect from its carrying out can be seen at the different levels. So, at the international level carrying out the EXPO in Astana will become a platform for innovations in the sphere of world power. In particular, will make a contribution to development and use alternative and renewable energy source. At the state level EXPO2017 will allow to provide long-term social and economic effect, will give a powerful impulse of further diversification and modernization of national economy, to transition of Kazakhstan to “green” economy. At the local level the big push will be received by tourist branch, hotel business and services sector. It is also development of small and average business and new workplaces. Thus, the EXPO in Astana will be heritage which remains in the country and will promote its development in the future. In our country programs of transition to green economy are developed till 2030 and further till 2050, and big investments will be invested in economy of our country. You know that Kazakhstan itself gets and processes traditional types of energy, do not forget to include and use the latest technologies in the field of energy industry, such as alternative renewable sources, new technologies in the nuclear industry. All these components of economic development are inseparably connected with transition to green economy. Can you give us anticipation of Expo 2017 in Astana? The international exhibition EXPO is their most prestigious event which has rich history and traditions from the middle of the nineteenth century. The EXPO always acted as a platform for demonstration of know-how and technical innovations. As you know, the first sewing machine, telephone set, system of electric lighting and many other inventions without we don’t imagine our everyday life today, were for the first time presented at these exhibitions. The initiative of the organization of such large-scale event in the capital of our country belongs to the President of Kazakhstan Nursultan Nazarbayev. The victory of Astana is not accidental. First this recognition of our capital as a center, worthy to host an event of the world rank. Certainly, economic progress of our state played a role in a choice of Astana. At last, it is important what exactly Kazakhstan offered very factual topic of an exhibition – “Energy of the future”. For us it is a historical victory. Undoubtedly, such success was preceded by long laborious work which was carried out at all levels. Kazakhstan could subdue not only the International bureau of exhibitions, but, first of all, member countries of IEB. The company on promoting the candidacy of Astana allowed us to establish diplomatic relations with foreign countries and to give an additional impulse to bilateral cooperation with Kazakhstan. 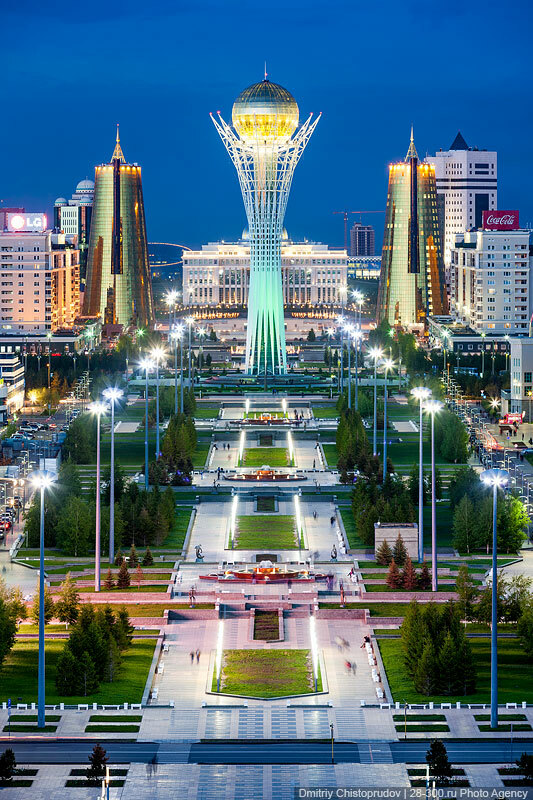 Today modern architectural style of the capital of Kazakhstan represents the best traditions of the European and Asian cultures in the center of the Eurasian continent. 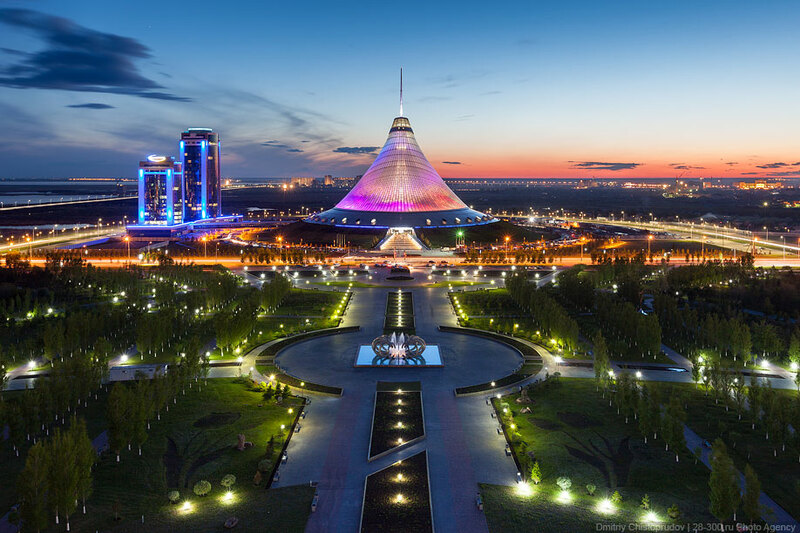 The recent history of Astana city is associated with the successful organization of the international events. 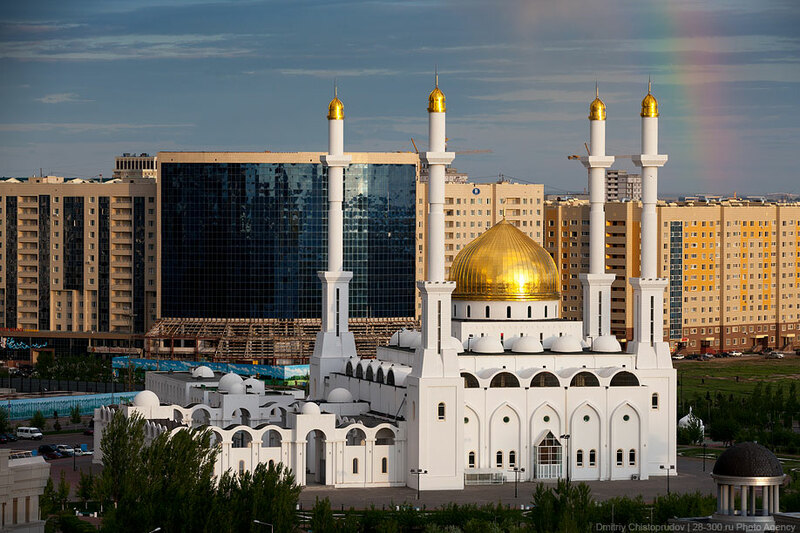 As you know, Astana became a venue of four congresses of leaders of world and traditional religions, Summit of OSCE, Asian winter games, Astana economic forum and other significant events. Carrying out EXPO-2017 will become additional incentive for economic and infrastructure development as a capital and republic in general. Astana is heart of Eurasia, the engine of development of our country. Carrying out EXPO-2017 in Astana opens big prospects for all country. We speak first of all about long-term effect. About effect which will affect all branches of economy of Kazakhstan, naturally, activity will increase in the sphere of innovations, holding an exhibition will positively affect and welfare development of regions. Besides the EXPO opens broad opportunities for businessmen and entrepreneurs from all regions of Kazakhstan. Infrastructure of the capital actively develops already, new hotels, traffic intersections are under construction. For the country it is also development of transport infrastructure, renovation of all large Kazakhstan highways is planned till 2017. Expansion of air harbor of Astana is expected. The new railway station with the greatest capacity is under construction. Exhibition area will make 174 hectares from which on 25 hectares the exhibition complex will be located. This complex consists of pavilions of the international participants, corporate and thematic pavilions, a concert hall, the congress center, multipurpose shopping mall and national pavilion of Kazakhstan. 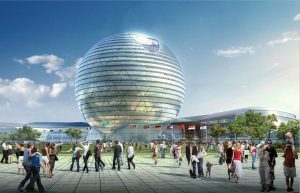 The pavilion of Kazakhstan will be in the form of the sphere and will become the only building in the world which is the sphere of the finished form with a diameter of 80 meters. Total area of the main EXPO-2017 symbol more than 26 thousand sq.m. Possessing the unique design features set by a building form, and also functions of the exhibition building, the national pavilion will be a striking example of application of renewable energy. For today Latvia became the 70th country which confirmed officially participation in the international specialized exhibition “EXPO-2017”. At the international level carrying out EXPO in Astana will become a platform for innovations in the sphere of world power. In particular, will make a contribution to development and use alternative and renewable energy. At the state level EXPO-2017 will allow to provide long-term social and economic effect, will give a powerful impulse of further diversification and modernization of national economy, to transition of Kazakhstan to “green economy”. At the local level the big push will be received by tourist branch, hotel business, a services sector. It both development of small and average business and new workplaces. Now during preparation the long-distance transport network is reconsidered, repair and a construction of roads are conducting, the new railway station in Astana is under construction, expansion of air harbor is planning, tourism and hotel business developing. At the same time, business communities, scientific community, youth are involved in preparation and holding an exhibition. Undoubtedly, holding an exhibition of the EXPO in the heart of the Eurasian continent is a new stage in economic life not only Astana, Kazakhstan, but also all space of the CIS in general. We will use the best efforts that passed the EXPO in Astana at the highest level and became one of the most hi-tech exhibitions. Italy experienced certain social and economic difficulties in recent years, the country endured long recession. Nevertheless, the Italian economy keeps the high potential, possessing the considerable level of industrial development. 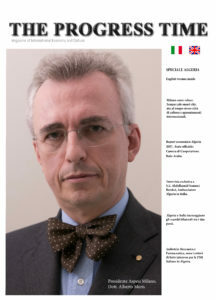 Italy still plays an important role in system of world economy and influences on formation of international trade. Italy, being the third economic force in the Eurozone, takes the leading positions in a number of branches. All this speaks about a temporality of present economic problems which will be overcome sooner or later. The success of the reforms which are carried out by the government allows to hope for fast return of Italy to a former trajectory of growth.